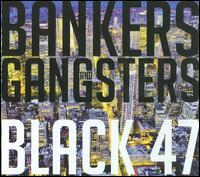 “Bankers and Gangsters” is a great CD by the well-known band, Black 47. Their latest offering is a celebration of 20 years on the road, delivering some great Celtic Rock. Black 47 has developed quite a following over the years, and if you haven’t yet heard them, this effort provides the perfect opportunity to sample their distinct style. These guys are true pioneers. When you listen to this band you may be tempted to dismiss them as “rockers”, but they are people who aren’t afraid to take on a heavy issue or make a political statement. In fact, they are known for doing just that. This latest effort upholds that tradition, but also takes time out for some fun as well. Check out songs like “Celtic Rocker” if you want to just kick back and jam, but savor “Red Hugh” for when you want to think. Many Celtic rock bands have modeled themselves after this band, and it is easy to see why. Their sound after so many years has become quite effortless, and they play together as if they are all blood-related. Their causes bind them together and their talent makes that a great listen. 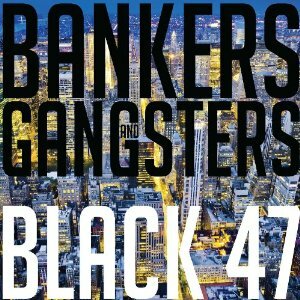 Those who have followed this band for a long time will appreciate this CD and those who have never heard them can get a great feel for their music through listening to “Bankers and Gangsters”. Catherine L. Tully specializes in writing about the arts, lifestyle and travel. She is the Owner of 4dancers, a blog for those who love dance, and Editor for Freelance-Zone, an award-winning site for freelance writers. Catherine also reviews music for Celtic MP3s Music Magazine.